I grew up hooked on decadent Eighties soap operas including Dallas, Dynasty and The Colbys. If there’s one woman who sums up that era and is very firmly established as a British icon of glamour, it’s Joan Collins. Which kind of makes you wonder why it’s taken until now for the fabulous Ms Collins to bring out a skincare and makeup range. Obviously A LOT of thought has gone into this. I get the feeling when looking at Joan Collins Timeless Beauty that it’s aching to be more than just about the icon it’s named after. This is a quality, classy range that punches well above most celebrity-endorsed endeavors. Even if you’ve never watched an episode of Dynasty, it’s worth checking out. 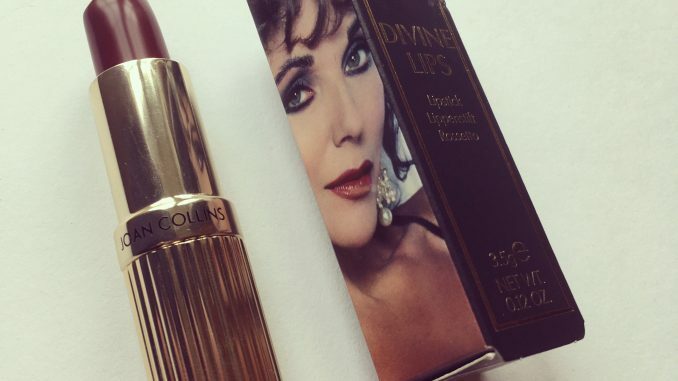 Today we’re looking at the Joan Collins Divine Lips lipsticks. I’ve been testing out four from the range of 16. 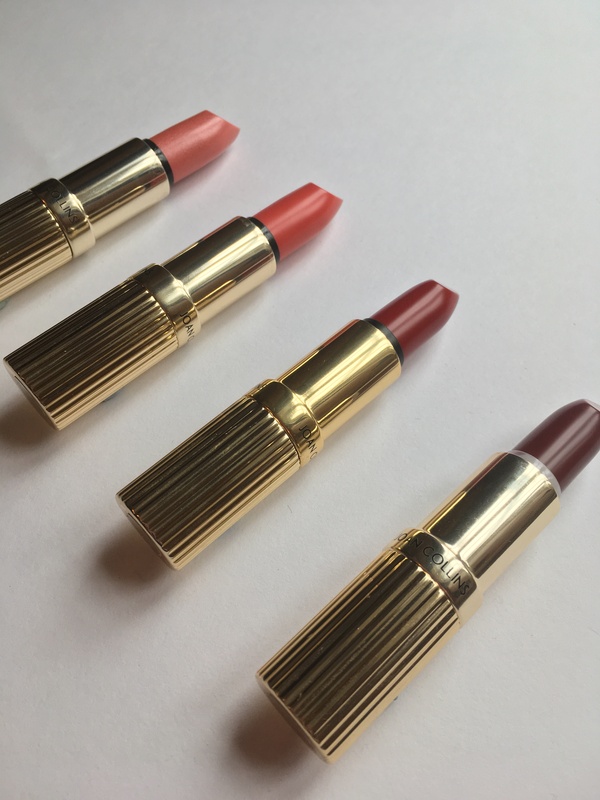 The heavy, faceted gold bullet has been compared to Charlotte Tilbury lipsticks, and you can see why. 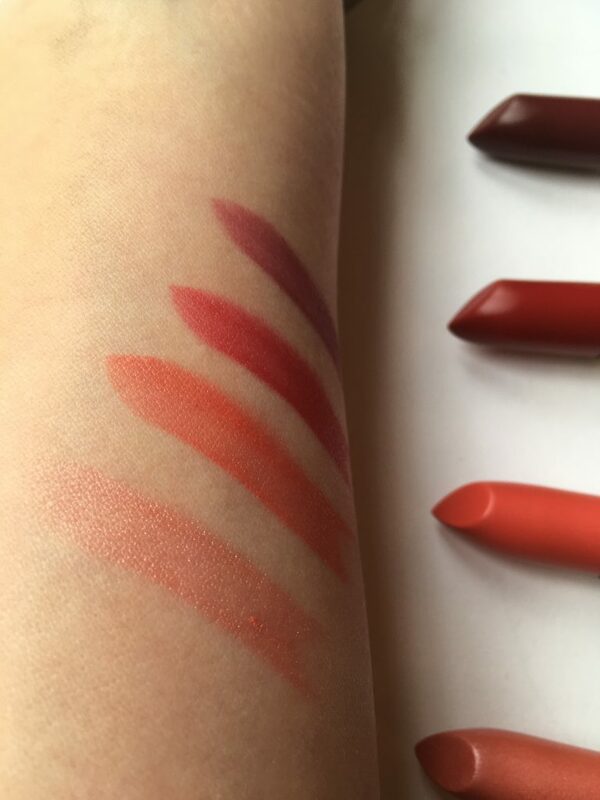 As you can see below these lipsticks are highly pigmented. All of them glide on like silk and feel extra moisturizing thanks to the addition of hyaluronic acid. If you get dry lips in winter and you’re looking for a lipstick with added skincare benefits to see you through, these’ll do it. Colour-wise, their staying power is medium. They won’t stay on all day without a touch up, but then again they look so elegant that you’ll be happy to produce one from your handbag. Wave it in people’s faces so they notice how ultra glam you are. And the Alexis shade has a little trick up its sleeve. Look, right there on the packaging, it’s Alexis Carrington Colby Dexter Rowan! (Yes I know that’s a lot of surnames, but it was that kind of series). What a great gift for the beauty fan who gets misty-eyed at talk of the glory days of Eighties telly. Or anybody who’s high on glamour and isn’t shy about it. 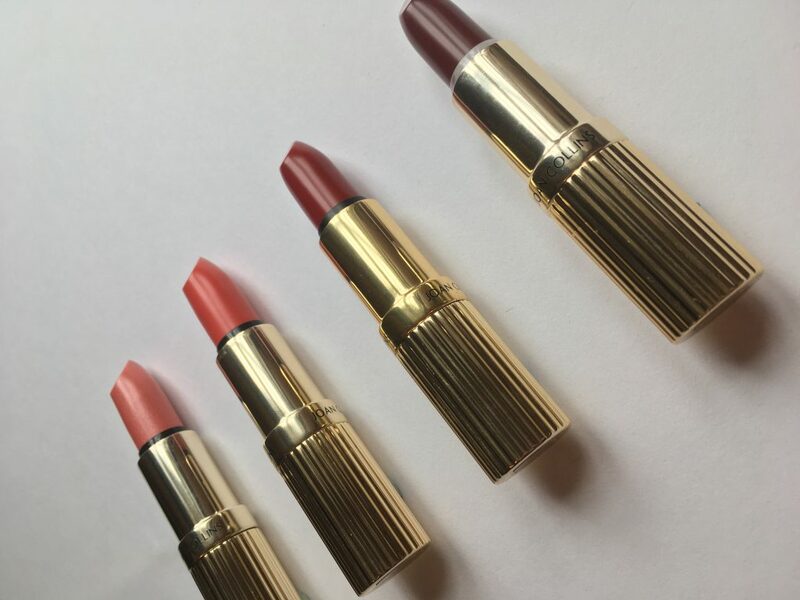 Joan Collins Divine Lips Lipsticks (RRP £18) are widely available online and instore at Marks and Spencer. 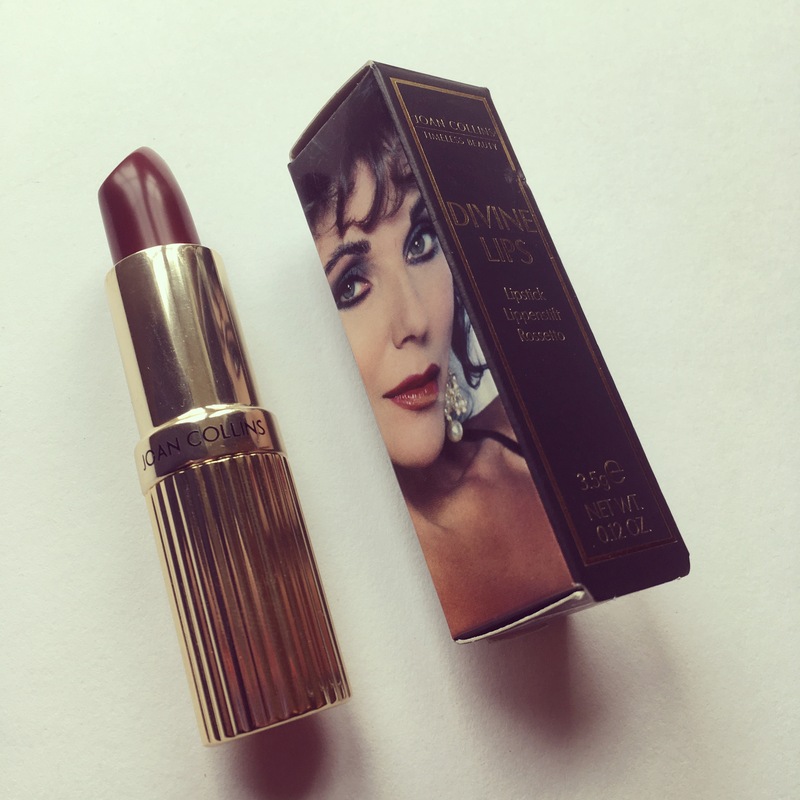 Find out more from the Joan Collins Timeless Beauty website here.